The the reports of a unity agreement between Fatah and Hamas, it is worth reminding ourselves of the openly declared goals of Hamas. If the world expects Israel to try to reach an agreement here, they must be out of their minds. Today (Sunday), 17.4.11, Israel's membership in the European Organization for Nuclear Research – CERN. was approved. Who says there is a boycott of Israeli expertise? CERN is the largest scientific organization of its kind in the world, in the field of physics, and it has created the most sophisticated, advanced and expensive scientific infrastructure in the world in the field of particle acceleration and "Big Science." Israel's membership in the organization is a step of the highest scientific, industrial and diplomatic significance. Joining CERN is a great scientific and diplomatic achievement for Israel: This achievement reflects the latent capabilities of Israeli scientists and constitutes recognition of their ability. Israel is joining an exclusive club, which provides unusual visibility, exposure, prestige and international status. The Bahai holy site in Haifa reopened Tuesday following two-and-a-half years of renovations. · The Shrine of the Bab, a UN-designated World Heritage site, reopened following a $6 million renovation, which included covering the temple’s dome with 11,790 new gold-glazed porcelain tiles. · The structure has been refitted and even strengthened to withstand an earthquake. · The Shrine is in honour of Bab, who was venerated as a prophet and later buried in the Mediterranean port city of Haifa. · The project was overseen by a Bahai engineer from California, Saeid Samadi, who was born in Iran, where Bahais have long suffered persecution for their beliefs and where the Bahai faith was declared illegal after the 1979 Islamic revolution. · The Bahai faith, which has roots in 19th century Iran and has between 5 and 6 million adherents worldwide, is one of Israel’s lesser known religious groups. · It has been reported that as many as 750,000 people visited the Haifa shrine last year. Irish bank fights fraud with Israeli software. Six (6) year-old Israeli sensation. Only in Israel – Deaf-blind theatre. Israeli gymnast wins European Silver. Don’t blind me with facts! Black student leaders support Israel. Muslims speak out for Israel. A unique business empowers people with a range of disabilities to succeed in the workplace that traditionally shunned them Call Yachol (www.callyachol.co.il) is a one-of-a-kind Israeli call center employing 180 Jewish and Arab disabled adults. In Hebrew, the name means “Everyone Can.” Psychologist Gil Winch, founder of the venture, says there is no reason for these employees’ mental or physical limitations to keep them from excelling on the job. But most have suffered from being shunned by mainstream employers and lack self-confidence in their potential. Up to 90 percent of severely disabled adults face chronic unemployment. Winch implemented a parent-based management model where workers are given affection and have scheduled time for team fun. The unusual arrangement has garnered interest from people in several countries looking to replicate the idea. The Palestinian Authority has just honored the terrorist mastermind responsible for the ''Passover Massacre'', a terrorist atrocity which claimed the lives of 30 innocent Israeli citizens attending the 'Seder'', the traditional Passover meal, at Netanya's Park Hotel on March 27, 2002. The Seder, symbolizing the liberation f the Jewish People from slavery in Egypt, is the most family oriented of Jewish holidays, somewhat akin to Thanksgiving in terms of sentimental importance. The Palestinian Authority has chosen a bizarre and troubling way to mark the upcoming Jewish festival of Passover. Despite an often voiced Palestinian commitment to end the glorification of terrorists and incitement to violence, on March 28 Issa Karake, the Palestinian Authority Minister of Prisoners' Affairs, visited the family of Hamas suicide-bomb mastermind Abbas Al-Sayed, awarding them with an official, festive plaque, in celebration of the anniversary of the massacre. This honor is not the only example of official Palestinian glorification of violence. In recent weeks, the Palestinian leadership named a youth soccer competition in Ramallah after Wafa Idris, the first female suicide bomber. Similarly, they named a square in El Bireh, as well as two schools and a summer camp, in honor of Dalal Mughrabi, commander of the March 11, 1978 massacre of 38 bus passengers on Israel's coastal road. So now we move on the the Hamas in Gaza. As Netanyhu stated very clearly, the tartgeting of a school bus has crossed all red lines. And this is what it was - a deliberate targeting. An anti tank misssile is not like a mortat or Katysha, it is fired on a DIRECT trajectory to a predetermined target and since the target was 100%civilian, this by any definition of the UN is TERRORISM, not militancy as the the world media likes to describe it. And now after another 48 hours, terrorist organizations in Gaza fired over 120 Grad missiles, rockets and mortars at the Israeli home front, throughout southern Israel. Thankfully, since Thursday, about 10 Grad missiles and rockets were intercepted by IAF Aerial Defense Corps forces, using the "Iron Dome" system stationed in Beersheba and Ashkelon. The farming communities of the Sha'ar Hanegev and Eshkol regional councils have been subjected to continuous mortar and rocket attacks. One of rockets that struck a kibbutz in the Sha’ar Hanegev Regional Council, late on Saturday afternoon, hit a main water pipe. One rocket fell in the Eshkol Regional Council area and caused damage to homes. Three people remained hospitalized at the Barzilai Medical Center in Ashkelon suffering from shock after experiencing rocket attacks. Six other shock victims were released to their homes. Rockets also fell in the Lachish region, in the western Negev. First the Better Place electric car and now in a $250 million deal, Israel's Evida will supply the batteries, cooling systems and software tools to run Mia Electric's vehicles in Europe. Batteries for Mia Electric's vehicles will be supplied by Israeli company Evida. Racing from one business meeting to the next, Asher Bennett, the 42-year-old founder of Israeli electric battery maker Evida, couldn't elaborate on how he came up with the invention in such a short time. But the former military submarine man did say that his company has been in stealth mode for the last two years. Under the media's radar until now, Evida has just signed a $250 million contract with the French-German automaker Mia Electric to manufacture its batteries. Funded with about $2 million from the Israeli venture capital firm Terra Venture Partners, and backed by private investment, Evida has been contracted to provide 50,000 8-kilowatt/hour battery packs for three of Mia's newest electric models, through to the year 2016. The deal was revealed after intense months of negotiations and was made public at the Geneva International Motor Show at the beginning of March. Mia will start rolling out its cars, powered by Israeli innovation, in June. Born to American parents, Bennett spent a lot of time in the United States and speaks English fluently. 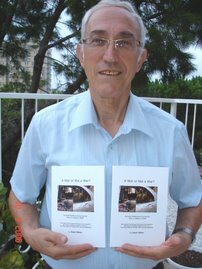 Now living in Kfar Saba, Israel, he gave ISRAEL21c a brief background: "I got battery experience from being an officer in Israeli submarines -- ones that use batteries with fully electric drive trains." His motive for keeping things hush-hush was that he didn't want to create a huge buzz and then fizzle -- something all too common in the startup automotive landscape. We've all heard about amazing companies attempting to create fuel from hydrogen, or air ... and then we hear nothing more. "We've been in discussion with many companies and were under the radar until recently -- until we'd proven ourselves," he says. Environmentalism fueled Bennett's passion. "The EV [technology] is one of the most cutting edge to come to the market. Where else do you get the opportunity to be part of one of the most important industries in the world - one that hasn't changed in the last 100 years?" Evida currently runs operations in Israel, the United Kingdom, France and the United States (it's registered officially in California), plus a contracted manufacturing facility in China that employs 200 people. Fourteen of the company's 20 employees in Israel are engineers who have been working on the battery concept since 2009, a few years after the wheels in Bennett's mind began turning around the idea. At its Jerusalem R&D center, Evida has created its own proprietary lithium-ion-phosphate battery pack. Unlike the extensive, and expensive, charging networks proposed by another Israeli electric car enabler, Better Place, Evida's batteries can be juiced from any ordinary electrical outlet at home, work or the shopping mall. In a pinch, a 10-minute "fast charge" will give the car an added range of about five miles. With a five-year contract in place, Evida will supply 10,000 battery packs a year to Mia for its zero-emission three- and four-seater Mia and Mia L, town cars, and a European-sized utility vehicle. Evida will provide a comprehensive vehicle integration solution including batteries, cooling systems, a battery management system and software tools. With a battery charge range of up to 90 kilometers, or 55 miles, Mia's battery can be recharged in three hours when hooked up to a standard European 220V power supply. Mia managing director Laurent Buffeteau said, "We appointed Evida based on their ability to provide a flexible, low-cost and high-quality battery pack solution tailored to the characteristics of our individual models, coupled with access to unrivalled expertise and a high level of durability for our customers." Now, other major players are lining up to talk with Bennett. Some smaller contracts in the range of a million or so dollars have also been signed. The battery part was "easy"
Bennett reveals that developing the battery was the easy part. The hard part was adapting it to Mia's systems, with all the quality control and reliability checks and balances in place. He tells ISRAEL21c that he does not consider Better Place, now deploying an electric charge network in Israel and Denmark, to be a competitor. As he told the Israeli newspaper Globes: "Better Place will ultimately use another company's batteries, but it is familiar with our product, and I highly esteem the company. It's an amazing company that is driving the entire electric car industry forward, and it will go far." Harold Wiener of Terra Ventures says that from the VC's perspective, "we believe that the right solution for mobility within cities is all-electric, zero-emissions vehicles including buses, taxis and trucks. There are no technological barriers for this to happen and prices of batteries will go down with escalation of production lines all over the world and mainly in China." Evida, he adds, "will be perfectly positioned to become a leader in this new area and the experience that will be gained in the deployment of 50,000 cars with Mia will be a tremendous advantage for us in the field of all-electric fleets." Two countries basically at war can still find the means to encourage better relationships. During a three-month period from mid-February, 12,000 tons of apples are to be transferred across the Syrian border by Israel Army forces via the Quneitra crossing. The apples, grown in the Golan Heights by Druze farmers, carry a profound message: "Each apple equals assistance to Druze farmers on both sides of the border," explains the commander of the Quneitra crossing. The project began six years ago when Israeli Druze farmers sought another market for their produce to raise prices and create a tangible connection with their brothers across the border. "Some Druze families are separated by the border, and Israel, showing its desire for peace, works to accommodate their needs, making sure they lead normal lives." Israeli authorities approved the project and the Red Cross served as the neutral envoy needed to launch the project. The Red Cross has representatives on each side of the border and supplies the trucks and Kenyan drivers that transfer the apples from Israeli to Syrian trucks. From Syria, the apples are marketed to Persian Gulf countries. During the transfer, army forces ensure everything runs smoothly and enforce security at the Quneitra crossing. Quneitra is a United Nations crossing and, although it separates two hostile nations, approximately 2,000 people cross it each year, including brides, reunited relatives and students. Also, deceased bodies of people wishing to be buried on the other side of the border are transferred through the crossing. All of these transfers are made possible by cooperation between the Red Cross and the Israeli and Syrian governments. "This is a very special post, characterized by both tension and serenity" says an officer. "The countries are by no means allies, but the people share a true kinship." The commander adds: "Standing at the border, it seems as if the two countries are at peace, especially during the apple transfer, which gets bigger each year." "Tourists visit here, UN workers cross here, and Israel realizes how important this opportunity is, Quneitra represents Israel's concern for the welfare of civilians, disregarding the obvious security threats posed by a border opening, especially with Syria which considers the Golan Heights to be its land." Red Cross representatives are responsible for the apple transfer, as well as a variety of other international activities taking place at the Quneitra crossing.